If any part of what you are about to read seems like a commercial, it is not intended as such. I was not paid or compensated in any way to procure my endorsement of the restaurant discussed. I just love what this particular establishment has done. There happens to be a great application for us in our individual lives and I want everyone to know about it. In the process, I don’t mind promoting this great place to enjoy a wonderful meal with special people because it is, well, a great place to enjoy a wonderful meal with special people! 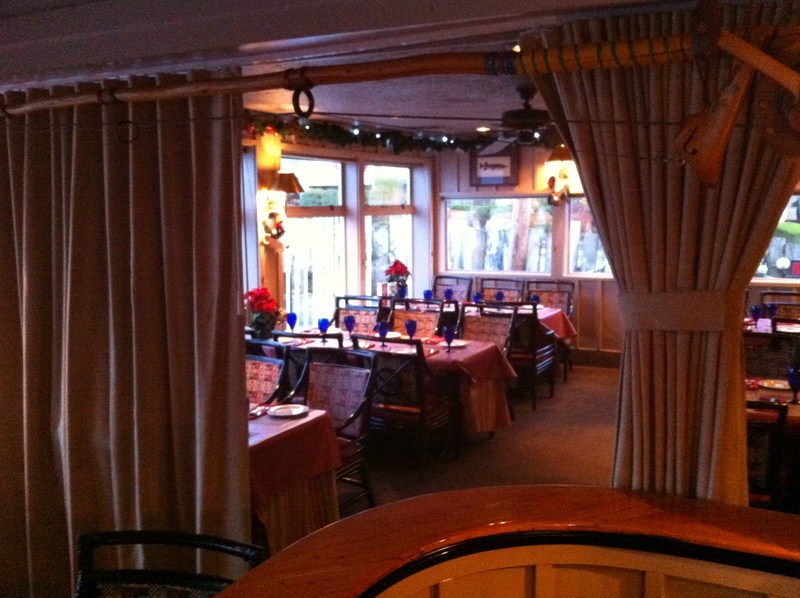 Conveniently tucked on one side of the dining room when not in use, the room-diving privacy curtains at the Salty’s redondo location, are barely noticeable when not being utilized. To the degree they are noticeable while not in use, the curtains provide a touch of elegance. In this three-part article, we will discuss the importance of making time and space something special, no matter when and where. Obstacle Blaster readers know that I like to interview and write about successful entrepreneurs and businesses. It is almost always useful to look at the human and pecuniary obstacles that have been overcome in order to survive and thrive against hungry competition in a tough economic environment. I found one restaurant that actually removed an obstacle by creating barriers. Salty’s at Redondo Beach is a fabulous Epicurean eatery occupying a perfect shoreline spot on the waters of Puget Sound between Seattle and Tacoma, Washington. Perfect because it is the kind of place you might not ever know is there unless you discover it accidentally, as I did several years ago, or hear about it from someone, as many of my friends have… from me. During my last very recent visit, I noticed something I hadn’t seen before: curtains. They weren’t hanging in the windows where we normally expect to see drapes. There are two sets, on tracks, along the bottom side of each of two heavy wood beams that cover the main dining room, reaching across two adjacent sections of the room. Conveniently tucked on one side of the dining room, they are barely noticeable when not being utilized. To the degree they are noticeable while not in use, the curtains provide a touch of elegance. Maybe I am easily impressed and/or overly curious, but I thought this smart use of the space warranted some follow up. The following week, I called the restaurant and spoke with General Manager Terianne Broyles, explaining that I write books and a blog about ways that all kinds of everyday obstacles are overcome by all kinds of people, that I am intrigued by the curtains that divide the dining room, and would they be willing to answer a couple questions. In Part 2, I will share what the people at Salty’s told me about how this small alteration to the space helped to open new possibilities.